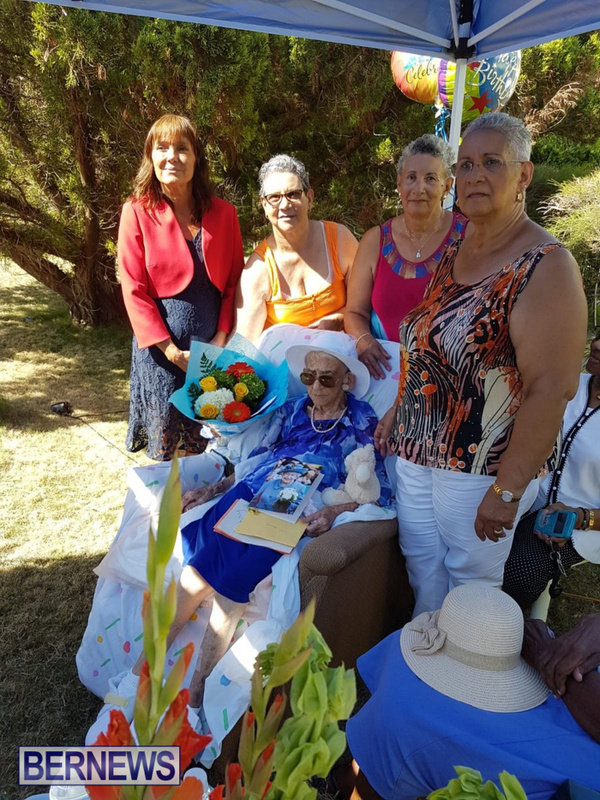 Angelina Bean was joined by family, friends, and political leaders yesterday [Aug 16] to celebrate a very special birthday, receiving a visit from Deputy Governor Alison Crocket, Minister of Government Reform Lovitta Foggo and MP Michael Scott as she turned 100 years old. Angelina Bean was born on August 16th 1918, married her late husband Herman Bean in 1937 and was married for 35 years until his passing in 1972. She had six children, two sons and four daughters. One daughter shares her August 16th birthday with her mother. The family now includes nine grandchildren and fourteen great – grandchildren. Mrs. Bean is pre-deceased by one daughter, one son and all her siblings. She worked as a short order cook at Lantana for many years and enjoys cooking, fishing, gardening and taking bus rides. 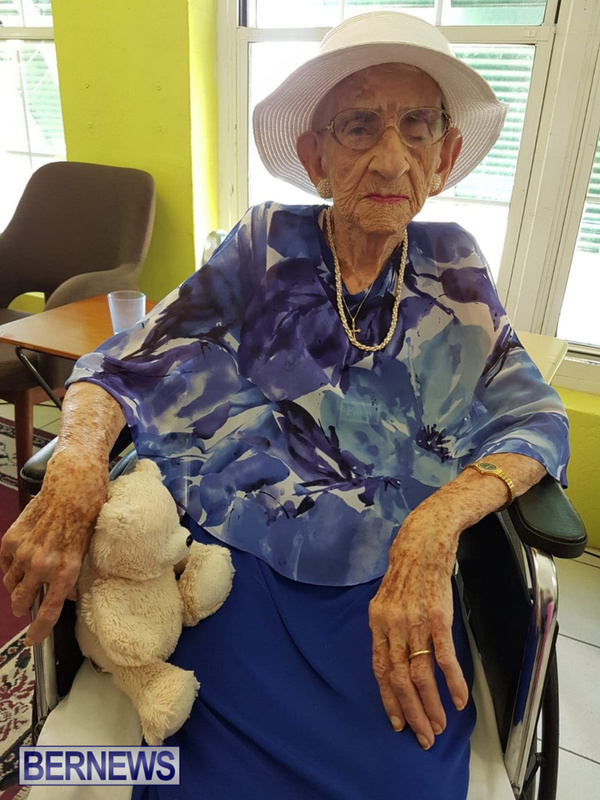 Although the centenarian resides in Somerset, she is an avid St.Georges Cup Match team supporter. The celebration was held at the Packwood Home in Somerset. Good for you Mrs Bean. 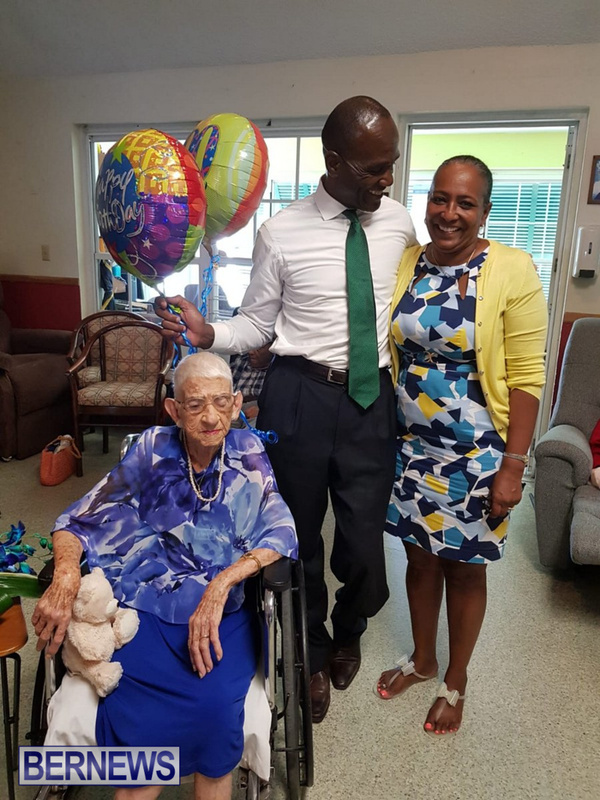 Best wishes Mrs. Bean, continued blessings on reaching this milestone!